A raging war between dragons and man outside of our world has lasted for ninety-seven years. However, a prophecy has been foretold that a young dragon with the help from a human from our world will put an end to the killing. When young Torch loses his mother to a group of Dragon Hunters, he finds a mysterious portal that takes him to Chester, Virginia, where he meets Ash, a drop dead gorgeous teenager with a knack for art and helping those in need. 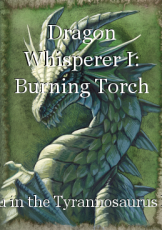 However, things take a wrong turn as some of the Dragon Hunters have followed them and the two find themselves back into Torch's world. Can Torch and Ash save his mother before it's too late?